When we typically picture “health and fitness,” an image of a gym routine and healthy eating comes to mind. This may be true, but there is so much more to living a healthy life than eating right and working out. That’s where Brian Costello comes in. As the owner of Fourtress Health and Performance, he helps transform people to live their best life. While this includes a gym and nutrition plan, he goes a step further and focuses on every aspect of a person — from stress and habits to sleep and breathing patterns. We knew that his progressive approach to health and fitness would be a perfect fit for our Cornucopia family, and we are proud to now sponsor Brian and Fourtress Health and Performance! We sat down with Brian to talk more about his work and its importance for a person to perform at their best each day. First, Brian shared with us how Fourtress Health and Performance came to be. Brian started his journey in CrossFit. After coaching for over 10 years and owning his own gym for 7, he started to notice a pattern in all of this athletes. “I began to realize how much of our health and fitness is effected by our lifestyle factors, stress levels, and most importantly, the fundamentals of human existence (breathing, posture/alignment, walking/running)”. Since he was working with so many clients at once, Brian found it more and more difficult to find the root cause of his clients’ failures (and successes). So he decided to make a change. That’s how Fourtress Health and Performance began. Brian knew that by shifting his approach would lead to more success with each of his clients. He began working with a more limited clientele, placing focus on each person’s entirety, not just their fitness goals. “We look at diet, movement, breath, sleep, stress, habits, mindset, emotional balance, and everything in between,” Brian shares. This helps him to uncover a client’s personal needs, allowing them to best succeed and meet their goals. Fourtress Health and Performance (FHP) is unlike your typical gym. The first and most important way FHP is unique is in the way Brian sets his client’s focus. We use a method referred to as Intuitive Health and Performance, meaning we are stripping away all the layers of misinformation in the world of health and focusing on our instincts and senses to create a balance between the internal and external environment. By focusing more on instinct rather than the mass information we constantly see in the world of health and fitness allows our body to remain in a state of ease and efficiency. This is key in setting clients up for success. Moving more into offerings, FHP sets itself above other clinics on Long Island by using Guided Heat and Cold Exposure Training. This training is all encompassing for clients — they need to focus mentally and physically as they are taken through “contrast bathing”. Clients alternate between a 140 degree sauna and an ice tub [set at] around 35 degree while using proper breathing techniques taught by Brian. What makes Guided Heat and Cold Exposure Training so unique is that with each change in temperature, you are “engaging and training the nervous system to adapt and change through breath,” Brian explains. 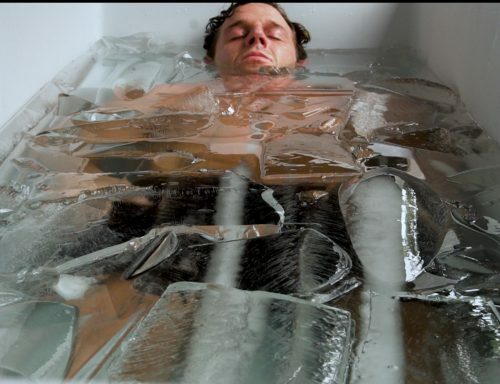 In addition, adding cold therapy into your health routine can help boost metabolism, decrease anxiety, aid in fat loss and help you sleep better. These are just a few of the ways that makes FHP one of a kind for all of Long Island. To dive in deeper, Brian took us through a typical training and what you can expect if you decide to try out Fourtress for yourself! Successful training all starts with the breath. Correctly aligning your position and diaphragm is the key to each training with Brian. Here’s why: “Our modern lifestyles are so detrimental to our these positions that virtually anyone who does not have an active breath and posture practice is guaranteed to be out of position,” he shares. The effects of being misaligned? Everything from joint pain and headaches to digestive and mental problems. Breath-work is vital more than you may think. Many of us tend to look at either we are breathing and alive or not breathing and dead. But, “There is a lot of middle ground, and the quality of our breathing mechanics effects how much oxygen we take in, and how well we can circulate it around everywhere it needs to go.” Breathing, in turn, affects absolutely every thing in our body. By beginning with learning proper breathing techniques, you are able to consequentially improve all other functions within your body. So, each client is led through the mechanics of proper breathing, practicing until they are ready to move to the next phase. Clients are in the tub for 10-15 elongated nasal breaths, trying to extend the breathing as long as possible. The long breaths keep us from falling into a “fight or flight” response which would lead to uncontrollable shivering and gasping. Controlling the breath keeps the body present and allows the internal systems to do their job. In a world where we are so focused on improving out outward appearance and strength, it is also important to focus on our internal systems too. A training routine at FHP means challenging yourself to push past your mental and physical limits. Doing so will lead to major improvements to your life! If you’re considering signing up for a training with Brian, his biggest piece of advice is to be open to the basics. While they may not seem fun and exciting, we can benefit immensely from “practicing things like breathing, walking and posture”. Training with FHP is more than just a fitness class — it is a life long practice. 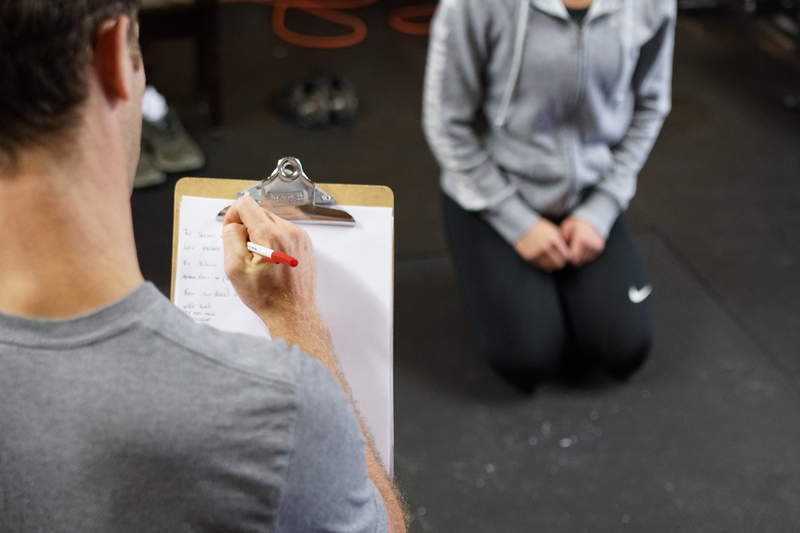 Whether you are just starting to look at your overall health or if you are an elite athlete, “You are never too good for the basics” Brian shares. The fundamental techniques that Brian trains on are essential for every person, regardless of their fitness level. As with any health-focused training nutrition and get the proper fuel in your body is extremely important. Brian knew right away that Cornucopia could fulfill his nutritional needs, from produce to supplements and everything in between. Being able to work with Cornucopia is a tremendous benefit for a practice like FHP. To have a reliable and like-minded source that I can use and recommend to my clients is priceless. Some of our focus is very unique and tough to find in standard grocery stores. Beyond his clients, Brian’s favorite aspect of Cornucopia is the large variety of options that we have. From organic produce and uncommon plant-based options, to herbal medicines and everyday supplements, Brian believes that Cornucopia is a game changer for those local to the area. “On top of that, the ability to grab a homemade organic hot-lunch while I shop just seals the deal!”, he adds. We believe it is important to have a healthy and strong body AND mind. We are beyond proud of the amazing work that Brian provides for his clients. As the pioneer for Guided Heat and Cold Exposure training on Long Island, FHP offers a unique approach to health and fitness that you just have to experience for yourself! Brian operates out of a home studio nicknamed the “Panamoka Performance Lab”, located near Lake Panamoka in Ridge, NY. To schedule an appointment, email FourtressHP@gmail.com. Follow Brian’s work on Instagram ( @bcostello____ / @fourtresshealthandperf ) and iTunes (Fourtress Radio).